In this project, a network has to be designed for remote access VPN. 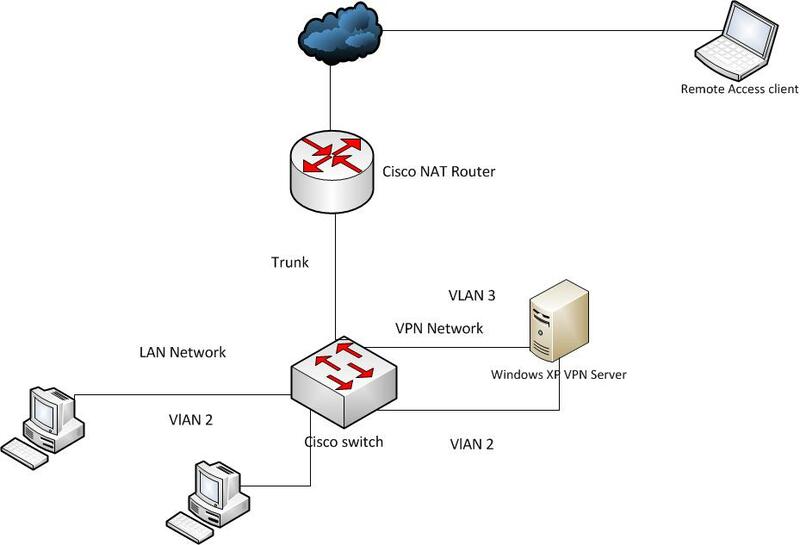 A windows XP VPN server is to be setup behind a Cisco NAT router. Windows XP VPN Server with two network cards. Windows / Linux systems for LAN users.